Wishing all of our supporters and great patriots a happy and healthy Thanksgiving. 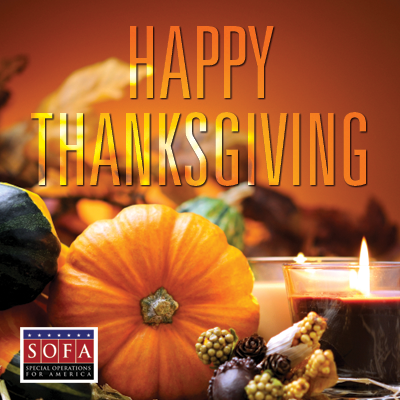 Thanksgiving is a day to spend time with family, eat good food and watch some good ol' American football, but here at SOFA we hope that everyone takes a moment to say thank you to the brave men and women who are serving our country all over the world. As well as those who have served this great nation.